Mumbai : Learning from its past mistakes, the civic body’s education department is planning to start admissions to 25 percent seats in private unaided schools under the Right to Education (RTE) Act early for the next academic year. The process is expected to begin this month for the academic year beginning from June 2017. While classes had begun in June, this year the process went on from March till September. The previous year it had continued till December-January. It is a time consuming process with the schools having to register first, followed by parents who register for their children’s admission after which the seats are allotted and finally the admission process entails three rounds. This academic year, out of the over 6,000 who were alloted seats, only around 2,500 finally took admission. Officials said parents had not shown interest to approach schools as they had not got a school of their preference, while there were complaints that many schools were denying admissions. Parents admitted children to either a civic or private school since the RTE admission process was being indefinitely delayed, besides some schools turning down the admissions. Schools had to update the admission status of children alloted seats on the education department’s website. MUMBAI: The Bombay high court (HC) has reiterated that Right To Education (RTE) Actdoes not apply to religious and linguistic minority schools. Hearing a petition filed by Federation of Linguistic & Religious Minority Education Institutions, a division bench of Chief Justice Manjula Chellur and Justice Mahesh Sonak quashed orders of the state government rejecting proposals by 10 school managements to open unaided minority English-medium primary schools on the grounds that they did not comply with RTE norms. The HC asked the state to reconsider the applications as per law. “We are of the opinion that the rejection to the proposals submitted… was not proper, particularly since such rejections failed to take into consideration the law as declared by the Supreme Court,” said the judges. The HC referred to the 2014 apex court order that held that provisions of RTE do not apply to aided or unaided minority institutions. The apex court had said that if RTE law were made applicable to such institutions, it would violate their rights and destroy the minority character of the schools. The RTE, enacted in 2009, says that all private schools that receive government aid and grants have to reserve at least 25% of seats for the poor and other categories of children who will be provided free, compulsory education. The government reimburses expenses to schools. In 2010, the state invited applications for opening new schools in the state. The state education department received over 7,475 applications. In 2013, it rejected the applications as they did not comply with the RTE Act. The Federation and the 10 schools approached the HC, challenging the rejection orders. 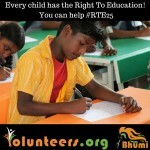 The Federation claimed that the 2014 law made it clear that RTE does not apply to aided or unaided minority educational institutions. Following a poor response for admissions to the 25 per cent of seats reserved for economically backward students under the Right to Education (RTE) Act, the district administration has decided to once again open online applications in a bid to fill more seats in the second round of admissions. The Indian Express had reported on September 3 that as compared to 1.20 lakh applications last year, the number of applications this year was considerably less at 77,000. The number of RTE admissions across the state has also taken a hit. In Pune district, of the 17,000-odd seats available in 781 schools, only 8,222 have been filled. 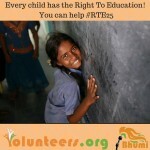 In over 200 schools, not a single RTE admission has been reported. Taking into account the poor performance, the district education department has opened the online admission forms from October 8 for a period of seven days. “Those parents who were unable to fill the forms in the previous round can do so in this round. We are going to display the area-wise schools and vacancies there, which parents can check. Parents who had filled forms in previous rounds but could not get admissions for their wards for whatever reasons can refill the preference form of schools, depending on available seats and distance. Also, those who were alloted schools for their wards but did not take admissions can also refill preference form. The only forms which cannot be altered are of those students who took part in previous round, were allotted seats and confirmed admissions,” said Mushtaq Shaikh, the district’s primary education officer. Confirming that the decision has been taken to ensure more RTE admissions, he said that the situation was more grim in rural areas where very few applications had come in as compared to available seats. In city areas of Pune and Pimpri-Chinchwad, he said, the number of applications received was more than the number of available seats. “It is a huge loss to the schools and even students and parents if these seats are not filled because as per Act, the schools will have to keep them vacant. Hence, we are hoping to fill as many seats as possible in the second round,” said Shaikh. Mumbai : Sujatha and Umesh Gangurde have been running from pillar to post from the past eight months to get admission for their son into Junior KG in a Chembur school. The school, General Education Academy, however, has been refusing admission to the child because he belongs to the Scheduled Caste category. As a result, their son, Kabir has still not started going to school. The school’s management has been asking them to apply for the 25 per cent seats under the Right To Education Act. “We don’t need the free seat provided under RTE as we are able to afford the fees,” said Umesh, who works as a senior engineer in a private firm. “We have told them we will give them the full year’s fees at once if they want or even pay a donation if that is what they want,” he said. The couple are keen on General Education Academy since besides being close to their home, their daughter also studies in the same school in Class II. Since the school insisted that they will be given admission only through RTE, the family applied for it. But they did not get an allotment in the RTE lottery. In fact, this year, of the over 6,000 children who applied only 2,500 got admissions. Since under RTE 25 per cent admissions, a school is allotted through a computerised system, they could not be sure they would get the school. “We are not the only low castes who have been turned away. The school did this with many other families. But we are the only ones fighting for a seat in the school, since our daughter studies there,” said Sujatha. V L Shanbag, principal of the school defended the school’s actions. “When 25 per cent seats are reserved under RTE Act for socially and economically backward castes, they cannot claim a right in these remaining 75 per cent seats,” he said. The law however, does not prohibit low castes to apply for the remaining 75 per cent seats, for which they have to pay fees. “The law does not say it is meant for open category. But that’s how we interpret it. I am ready to go to court if needed,” said Shanbag, an upper caste. He said though, that he does not affiliate with any caste. “In my school, we give admissions in the remaining 75 per cent seats only to OBCs and open category,” he said. Umesh says that though the Deputy Education Officer of the BMC had given a letter asking the school to give admission to the child, the principal refused to follow the order. MUMBAI: Only 2,498 students of the 6,409 who applied during the three online rounds for entry to unaided non-minority schools in the city under the Right to Education Act have been admitted. The third round that ended on September 10 ended with only 75 of the 891 selected students securing admission. The online admission rounds began in April with 318 schools reserving 25% of their seats at the entry level for students belonging to the weaker sections. A total of 9,664 seats -3,359 in pre-primary and 6,305 in Class I -were available under the quota this year. The BMC‘s education department, which conducts the admissions, is mulling another round after only 39% were admitted under RTE. “Many students have secured admission in other schools and hence the poor response. But since we have vacancies, we are considering a fourth round. A decision is expected in the coming week,” said Prakash Charate, deputy education officer. “Some parents are very selective and hence have not been able to secure admission,” he added. However, activists complained that the low number was due to schools’ unwillingness to accept students from economically weaker sections and the government’s inability to take action against them. “Hundreds of students have been turned back by the schools on various grounds such as distance from residence or discrepancies with income certificate. Despite making corrections, the schools have refused the students. Only some of these students participated in the following rounds but a lot of them are out of school,” said Sudhir Paranjape of Anudanit Shiksha Bachao Samiti, a NGO. They feel the implementing agencies need to be more pro-active. “The BMC does not take action against schools which have refused admission year after year. This way, none of the schools will fear flouting norms,” said Paranjape. Officials said they have sent notices to several schools. “Whenever we received a complaint, we sent a showcause notice to the school. Repeated notices have been sent till we got a satisfactory reply. Currently , there is only one school which is yet to reply to our notice,” said Charate. PUNE: Against 1.15 lakh seats available in the state under the Right to Education Act, only 37,000 have been filled so far. As compared to last year, the number of students from the backward and poor segments seeking admissions to schools has gone down by 50%. Prompted by the poor response, the state education department has appointed a steering committee to study the loopholes in the process, though it is quite evident that going online has had a negative impact. The state education department started online admissions last year in cities like Pune, Mumbai, Nashik, Kolhapur, Nagpur etc. This year, it was extended to the entire state. A total of 77,000 applications were received. Of them, only 37,000 admissions have been completed so far. The admission process is plagued by several problems.Over 10 schools in Pune and Pimpri Chinchwad refused to admit students under the Right to Education (RTE) Act last year, following which the education officers filed a police case against the school managements. The education department later asked the officers to withdraw these cases. Many schools’ management have complained of not getting reimbursement from the state government against admissions. Nagpur: Recently CBSE has cancelled the affiliation of six schools from Bangalore and Mysore in Karnataka for forging documents to put an exemption from the provisions of RTI act. Now sources said that similar malpractice is being adopted by many CBSE schools in Nagpur to do away with the provisions of Right To Education (RTE). Atleast the number of vacant seats under RTE in Nagpur division clearly hints at the goof up. A report published in a leading daily figured out that an astounding 44% seats in Nagpur division schools under the free Right to Education (RTE) Act quota remain vacant this year even after multiple rounds for admission. The six districts under Nagpur division have put up a dismal RTE performance going by the latest data, with only Nagpur city offering some face-saving solace with 27.21% seats remaining vacant. Gadchiroli district fared the worst with 84.82% vacant seats. 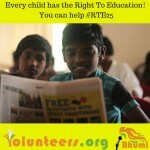 It is suspicious that of the total 12,390 RTE seats available in the district, only 6,984 have been filled. Education officials feel that the reason seats are remaining vacant is because parents want the free admission only in select schools. The officer, who did not want to be named considering his top bosses from Pune are arriving in Nagpur for a two-day seminar, said, “The entire rush and aggressive stance taken by parents is only for a few CBSE and state board schools. If they do not get admission there then they’ll go for a government-aided school.” Education activists feel that all these seats can be filled if only a proper process is followed. He also added that going online was not a wise decision. “First, they (authorities) said that schools only in urban areas will see online admissions but now everyone is included. In rural areas, there is hardly any comfort level of people with the online world. Remember we are talking about a poor farmer or a daily wage labourer. These are the people who actually require, and qualify, for free admissions,” said Sharif. Mumbai : The date for admissions under the Right to Education (RTE) Act was extended from September 5 to September 10 owing to the extremely low admissions registered in the third and last round, as the round came to an end. There were just 61 admissions under the 25% seats that the Act mandates the private unaided schools to give underprivileged children. 891 children had been allocated seats. This comes to just 7% of the total. It is not clear what the status of the remaining children is, though it is assumed that they have not approached the allotted schools. An official from the BMC’s education department that conducts and oversees RTE admissions said that, the department has done its duty of extending the dates. “It is the responsibility of the parents to approach the schools. For children to come to BMC schools, we go door-to-door, but in this case they have to go to the private schools,” he added. “Maybe they have not got the school of their choice,” he explained. It is to be noted that it is over two months since schools have reopened and the RTE admission process is still on-going. Two previous rounds had been delayed because some schools had refused to give admissions or had failed to update the status of admissions in their systems, until which the next round could not be held. The Brihanmumbai Municipal Corporation’s (BMC’s) education department on Wednesday conducted the third lottery for students from the Economically Weaker Section for the 25% quota admission under the Right to Education Act. After the first and second lotteries, so far, 2,423 students have got confirmed admission. In the first lottery held on April 20, 3,411 students got selected for 6,561 seats. Out of the selected ones, 2,050 got admission. In the second lottery held on July 4, out of the 1,618 students selected, only 373 got through. The total number of seats in pre-primary schools is 3,359; Std I seats in 317 schools are 6,305. Out of the 317, 274 are state board schools and 43 of other boards. Nearly 68 schools, in which there were 1,618 seats, received zero application. After the third lottery, the dates for admissions in the allotted schools are from August 26 to September 5. Parents will have to take a printout of the allotment letter from their application login and go to the allotted schools with original documents. Mumbai: A total of 891 children from poor families were allotted seats in private schools under the Right to Education Act, in the third online lottery on Wednesday. They have got seats at the entry level in unaided non-minority schools across the city. According to the BMC education department, the students have been allotted 1,008 seats, with some of them being given the choice of more than one school. Parents must approach the schools by September 5 to confirm the admission. As many as 105 RTE seats in some non-state board schools in the city are still vacant as the schools have been turning away students for various reasons. “If schools refuse admission to students despite having right documents, the parents can approach BMC or the school education department,” said Nisar Khan, education inspector, BMC. In the first and second lotteries conducted in April and July, 2,423 students secured admission in various schools.